Don't Miss Out! Parents and Coaches Should Attend. 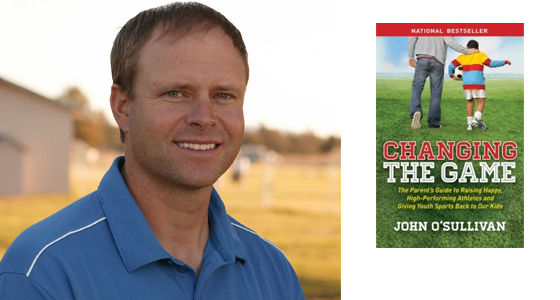 (Jan 9, 2017) EYSA is proud to announce there are two new Changing the Game sessions, featuring John O'Sullivan, coming to the Eastside on Mercer Island and in Issaquah. Guest speaker, soccer coach and bestselling author O'Sullivan has been with us before, and the info and philosophy are invaluable, especially when it comes to supporting your athlete on the field and keeping him/her engaged in sports. If you haven't heard him before, we encourage you and all parents and coaches of players across EYSA to attend. Click on the links below for event details. Issaquah, Feb 28 at 6:30 pm at Issaquah High School: Advanced registration is highly recommended so folks get a seat. Tickets are free to Issaquah PTA members. Others are encouraged to donate $10 at the door.